New Orleans conjures up images of Mardi Gras revelers, street parades and jazz music. But if you think the best time to go RVing in New Orleans is during the city’s world famous parties, don’t make your reservations just yet. That’s because the perfect time to take your rig to the Big Easy might surprise you. Mardi Gras isn’t just an event, it’s a season. The big, colorful parades and parties that happen during Mardi Gras season begin on January 6. 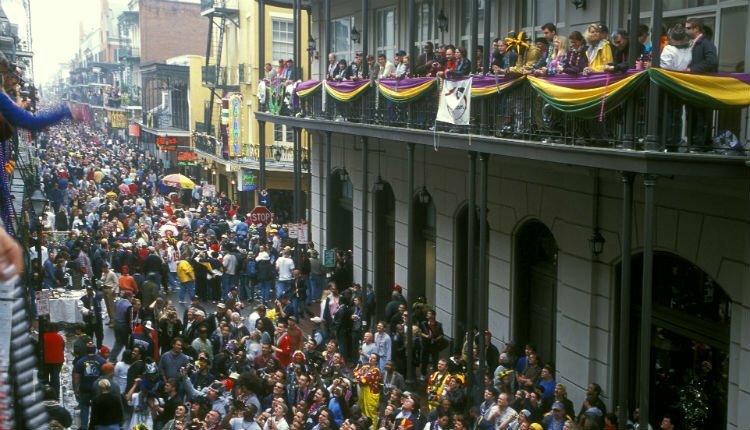 It’s in conjunction with the Christian occasion known as “The Feast of Epiphany.” The revelry culminates with a giant, city-wide finale on Fat Tuesday, the day before Ash Wednesday. This big party can occur anytime between February 3 and March 9. During this time, Mardi Gras is renown the world over and is a top draw for tourists all walks of life, including RVers. However, as the environment always plays a vital to enjoying the lifestyle, RVers should realize that the weather during Mardi Gras season in New Orleans isn’t the best. For instance, you’ll endure cool temperatures in the low 60s and around five inches of rain on average. Also, if you’re thinking of RVing to New Orleans for the New Orleans Jazz and Heritage festival, aka “Jazz Fest,” close weather-watching is also recommended. Since 1970 the city’s second most famous event occurs the last weekend of April and the first weekend of May. By this time of year temperatures can soar into the high 80s, with thick humidity and rain. 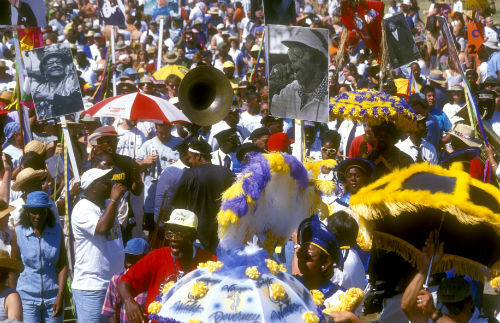 Like Mardi Gras, Jazz Fest spawns numerous unofficial performances and celebrations throughout the Crescent City. It also creates traffic jams and congestion everywhere. So, if RV’n to N’Awlins is on your travel list (and celebrating Mardi Gras or jazz isn’t a priority) time your trip between these events. 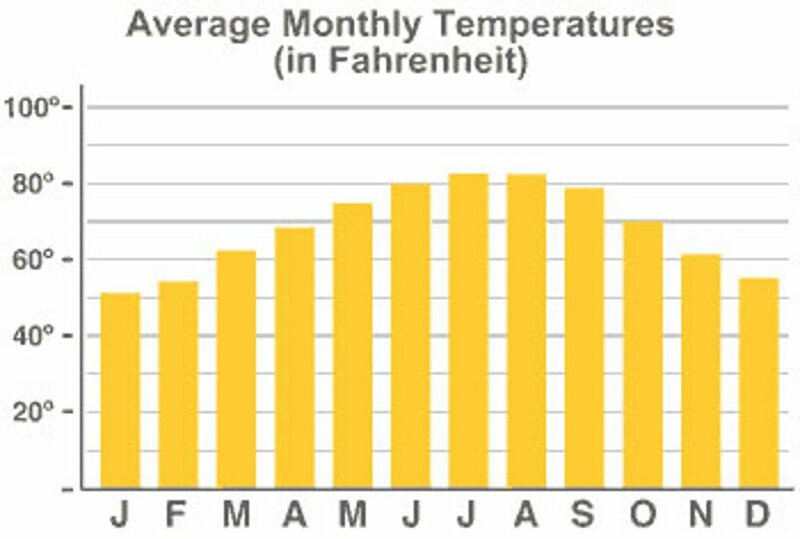 Weather during March and April is typically spring-like and comfortable. With average temperatures in the 70s, it’s an ideal time to go. You might still have rain, but the humidity is bearable and the streets are a little easier to navigate with your RV, tow vehicle, or toad. RVers in discussion forums will tell you: the best place to park your rig is at the French Quarter RV Resort. Located in the French Quarter, the ultra-secure urban campground is easy to get to. Additionally, scan New Orleans Campground Reviews. Here, you’ll also find Pontchartrain Landing, a big rig-friendly campground on the Industrial Canal. If you’re thinking of boondocking in New Orleans, you may want to reconsider. The city has few, if any, places to park your rig free. City RVing doesn’t come cheap, especially when it comes to America’s greatest cities like New Orleans. If you want to visit, plan your trip to coincide with the area’s best weather. You’ll keep cool and enjoy your experience even more. We are attending the Sugar Bowl in our RV in New Orleans next week … I quickly clicked open this article … disappointing info … no specifics or real useful information… weather information can be found on weather.com how about some logistics information of traveling, fuel etc. when traveling in a big rig! I’m a native Louisianan right outside of New Orleans. DO NOT attempt to drive an RV into the French Quarter! The streets are narrow and lined with parked cars. The city hosts so many events requiring street closures and barricades that you could easily get stuck and literally have to back out of a street or be stuck there for hours. During Mardi Gras, Jazz Fest and on a Saints home game, much of the city is closed or semi-closed. Park WAY away from the event location and take the trolley, a pedi-taxi or if you want the New Orleans feel a horse drawn carriage. I wish there had been other times to visit listed or other times to avoid. Seems like this just skimmed New Orleans. One excellent RV opportunity is at Bayou Segnette State Park. It is located in Westwego, on the “Westbank” of the Mississippi River. E-Z access to New Orleans. Sites are paved and spacious. You might do well to simply camp in a different city, such as Baton Rouge, then drive your tow vehicle (or rent a small economy car) into New Orleans to visit the tourist attractions. And while you’re in the area, do seek out the attractions in the other nearby cities! Baton Rouge has a maritime museum for those who like that sort of thing. There are plantations to visit in the area too. Not sure if they still allow it, but the parking lot on Basin Street used to allow overnight parking. In 2017 it was $20… this year I heard someone say they paid $50… still way cheaper than FQ RV (min. $99 on a non-event night, which is rare). Also, I know N. Peters Street in the Marigny has a small area where some boondocking takes place… I would make sure you park under a light for a little added security.